Send us your photo following the 5 easy steps shown below and we promise that Gavin will assess your smile and respond to you personally within two working days. We are pleased to inform you that the initial consultation will be free. Please do not hesitate to contact us today, we are happy to answer any questions or concerns you may have. 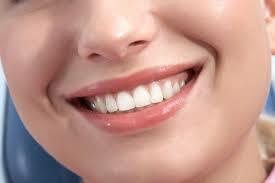 Take a photo of your full face, or just your mouth if you prefer, smiling broadly to show as many teeth as possible. The camera on your phone should be fine. See the example below. Describe what you are unhappy about with regards to your smile, or what you would like to change.